forever on the brink of the precipice. while I drink until dawn. His ambition is to get two good night's sleep in a row. 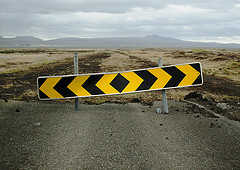 Image: "End of the Road" by Kevin Dean.